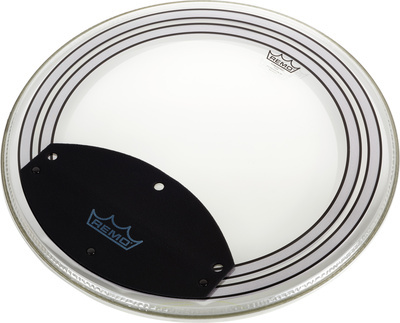 A superior bass drum head. What can justify spending more on this batter head than the other, typical bass drum batter heads that Remo sell? 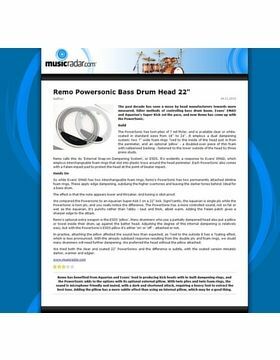 In my opinion, this is answered by the fact that this head is extremely well made, balanced and gives an awesome sound. It has two films, so it's like an emperor head, giving it durability should you not wish to add the falam slam pad that comes with it. The foam gets rid of unwanted overtones nicely and the clip-on pad is a nice touch. Some people have said that the pad sometimes comes loose, but I have been playing on multiple kits with multiple Powersonic heads for a long time, and not once has it come loose. Perhaps it was an older issue? 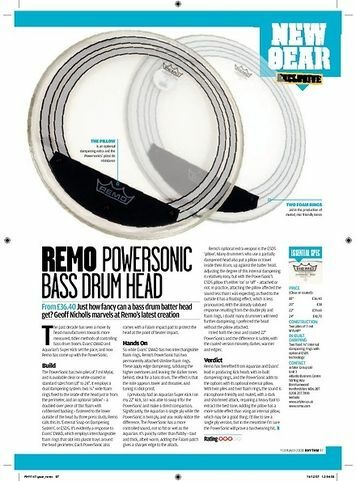 Whilst you might not be able to get a light, boomy, split sound of a tuned-tight jazz bass drum, this head lends itself well to rock, fusion and heavier applications. 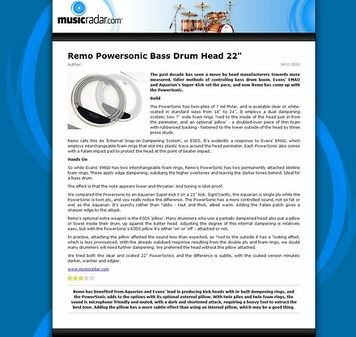 Combine with a Powerstroke 3 resonant head for great balance and ease of getting a good sound. This is an awesome kick drum skin with loads of low end and tone. It's easily adjustable and sounds great. The clip on muffling pad does come of regularly, which is a bit annoying. It was a long time ago when I used it so maybe Remo have fixed this now?? On of the best bass drum skins around! ID: 111219 © 1996–2019 Thomann GmbH Thomann loves you, because you rock!